Like Jimmy Wilde before him, Welshman Jim Driscoll (also known as Jem Driscoll) got his start fighting in the boxing booths of the British Isles. There a fighter offered all comers a chance to beat him. 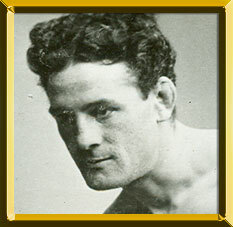 After fighting hundreds of bouts in the booths, Driscoll turned professional in 1901 at the age of eighteen and promptly won his first ten fights by knockout. In his next fight, he decisioned Joe Ross to win the Welsh featherweight title. Driscoll was quick and elusive in the ring. He had great hand speed, which he combined with enough power to rack up 35 knockouts in 69 fights. In 1907, Driscoll won the vacant British featherweight title with a seventeenth-round knockout of Joe Bowker. After adding the British Empire featherweight title in 1908, Driscoll avenged one of the few defeats of his career by beating Harry Mansfield in a rematch. He next traveled to the United States, where he won a newspaper decision over the tough Leach Cross. Driscoll fought a no-decision match with world featherweight champ Abe Attell at the National Athletic Club in New York. Though Driscoll failed to knock Attell out, he completely dominated the fight. Driscoll left the ring unmarked, but Attell had one eye closed and a badly swollen nose. Driscoll later claimed that he and Attell had agreed that the title would change hands based on the newspaper decision, the unofficial vote by ringside reporters. Attell, who had clearly been outboxed, did not acknowledge that such an agreement had been made.